Spectacular award winning Orange Sovereign is a vivid burnt orange flower unsurpassed in richness and stability of colour, as you would expect from a plant that holds the RHS Award of Garden Merit. 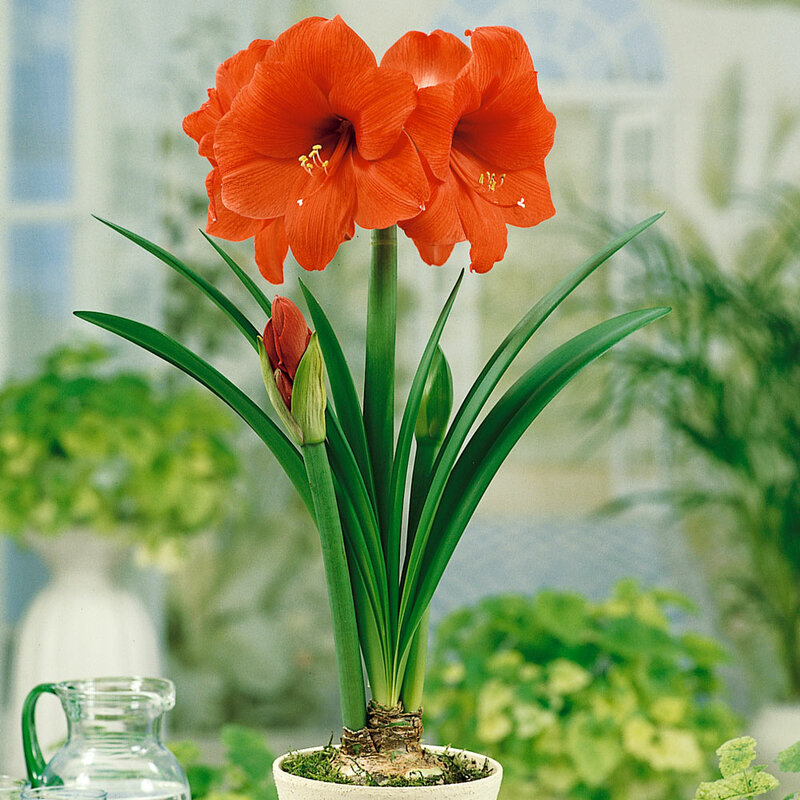 Hippeastrum, more commonly known as an Amaryllis, make excellent pot plants, producing three to four funnel-shaped florets of 20-25cm wide at the mouth, carried on a strong stiff stem. Plant in large pots of potting soil and put in warm place near radiator or fireplace and water sparingly until the first signs of growth. 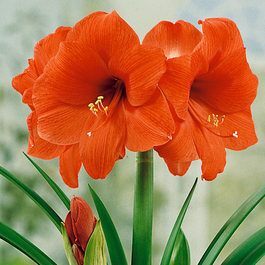 At around 10cm move to a reasonably warm part of the house to bring into flower and marvel at the stunning enormous blooms. Will flower 6-8 weeks after planting. 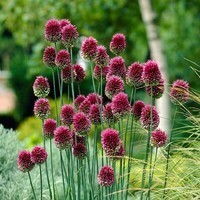 34cm+ bulbs supplied. Buy three or more 34cm+ Amaryllis bulbs for only £8.99 each. For extra planting advice check out our Helpful How-to Videos with Jeff Turner. 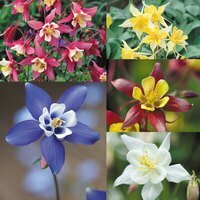 Following the link at the bottom of this page select 'Indoor Bulbs'. During the growing season you should feed with liquid manure and water regularly. 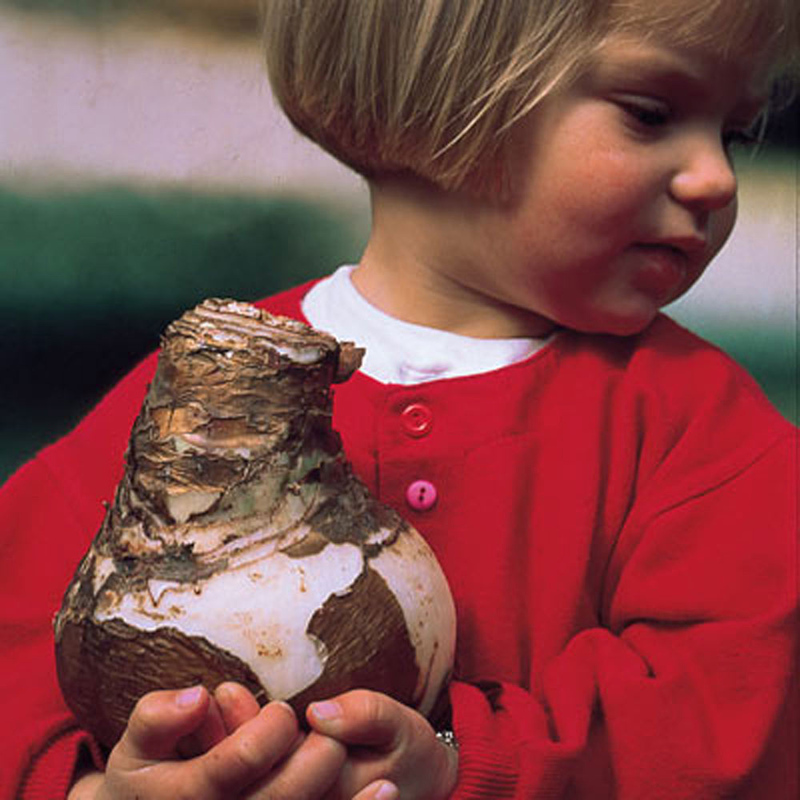 When growth of the bulb is complete, water can be gradually withheld and the bulb can be given rest for about three months. Only start the withholding of water when th e leaves are well developed and ripening (yellowing). During the growing season you should feed with liquid manure and water regularly. 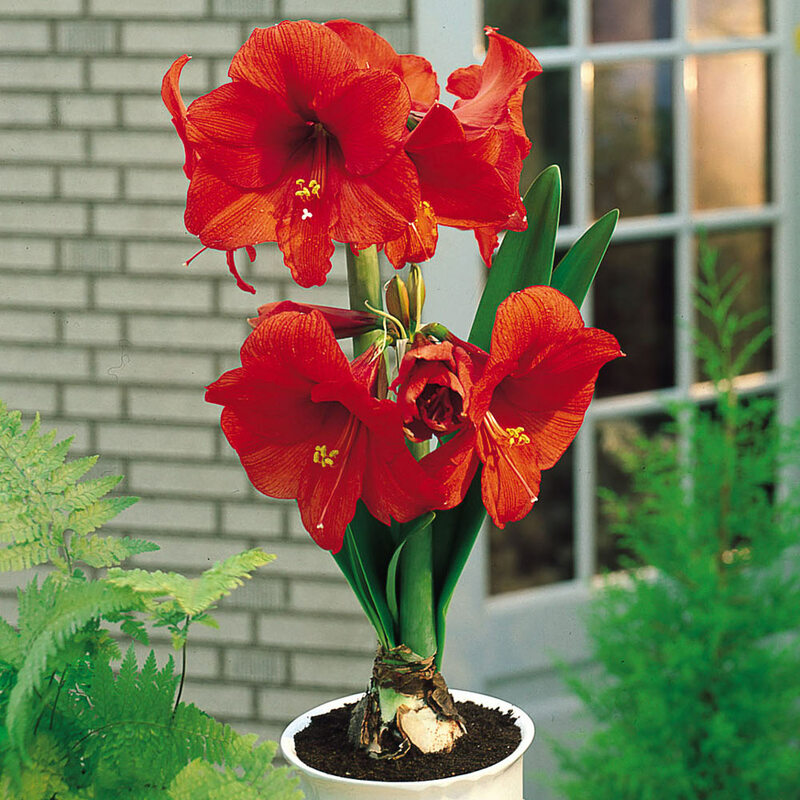 The bulb does not need repotting every year.